Grenade attacks. Land mines. Enemy fire. Casualties of war. Whether it's the military or Christianity, the enemy is ready to "kill, steal, and destroy." Without proper training, a soldier or a Christian will surely perish. Whether you are new to the Christian faith, or a seasoned veteran, the intentional discipleship process presented through "Bible Basic Training" offers foundational instruction that can lead to a lifetime of spiritual fitness. 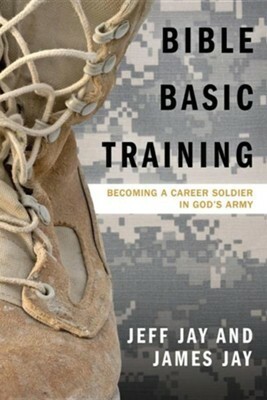 I'm the author/artist and I want to review Bible Basic Training: Becoming a Career Soldier in God's Army.